The faction also discussed a dismissal of the government. 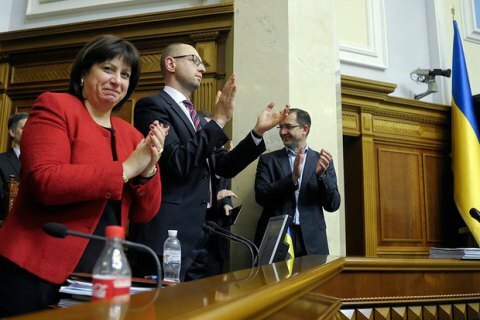 The Petro Poroshenko Bloc-Solidarity faction approved the list of potential candidates for the Cabinet of Ministers at its meeting today, RBC-Ukraine has quoted unnamed MPs as saying. - Yevhen Nyshchuk for culture minister. Faction leader Yuriy Lutsenko said at the meeting that there was enough votes to have Prime Minister Arseniy Yatsenyuk dismissed. However there was not enough votes for any other candidate for prime minister.